I was fortunate enough to be raised by parents who fully embraced new technology. In the late 1970s and early 1980s computers were frighteningly expensive, however, and my parents never thought they would be able to afford one. 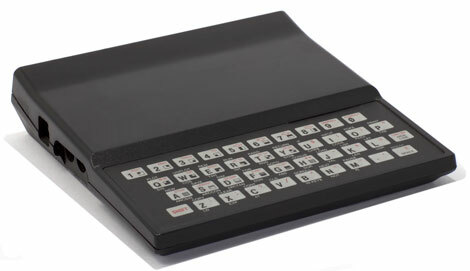 The Timex Sinclair 1000 [sold as the ZX81 in the UK -Ed. ], released in 1982, was priced for affordability and targeted to families. We got ours for $100 at Maas Brothers, a local department store. I was six then, and I still remember the day of purchase. It was like an old movie, where everything happened in slow motion. My mom happened to spot the computer from across the room and ran to it; Dad and I close on her heels. Once they saw the price tag, there was no question. We were to become computer owners! It was so exciting! That computer had 2K memory. It had a black and white display and no sound. It could be hooked to a TV, cassette recorder or printer. A 16K expansion was available, but was far outside our price range. We did eventually buy the 4K expansion. In retrospect, the computer was horrendously slow, but we didn’t know any different at the time. Dad was in school for industrial engineering, and he was able to do his homework on the computer. I was just learning to play chess, and I could do that with the computer! Of course, it took so long to process that I could literally make my move, go to school, and come home in time for the computer to make its move…but still, we had joined the computer revolution. The Timex Sinclair 1000 fueled my imagination and began a lifelong love affair with computers. Amazingly in this era of disposable computers, that one still worked when it was lost to Hurricane Katrina. I hope to replace it someday. 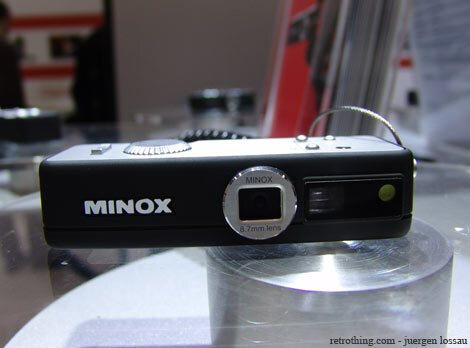 Minox was founded in 1936 to manufacture miniature cameras. More than 70 years later, they're still obsessed with miniaturization and classic design. They've had some success with miniature digital replicas of classic designs, but now they're offering a range of photo gadgets for the discerning wanna-be spy. 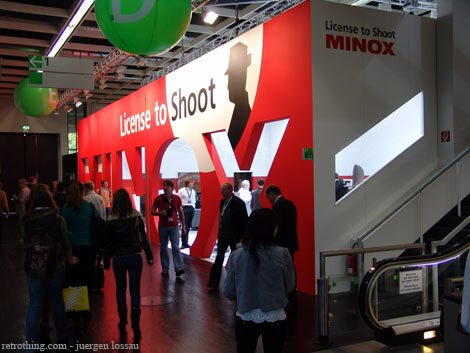 The star of at the espionage-themed Minox License to Shoot booth was the €199 ($280) Minox DSC, intended to evoke their classic Minox B model from decades past. It weighs a mere 60g and incorporates a 3.2 MP (interpolated to 5.0 MP) sensor. It looks cool, but who's going to buy it in a world where capable cameras are incorporated into pocket-sized mobile phones? 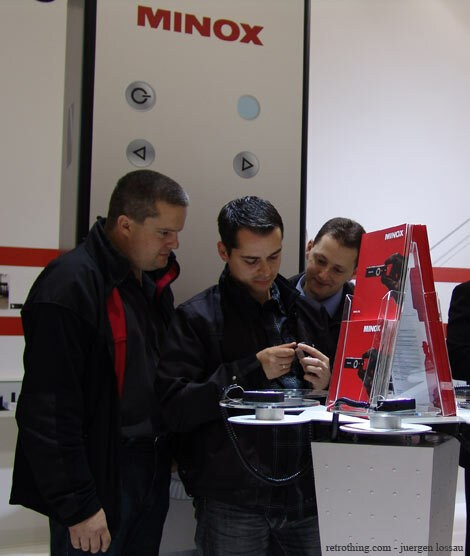 Practicality was thrown out of the window as grown-up kids flocked to the Minox booth to get a look at their range of tiny camera-equipped pens, belt buckles and eyeglasses. 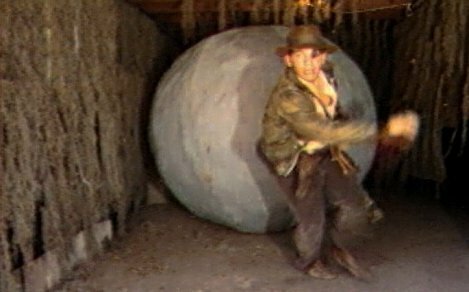 The USA in the 1970's wasn't just joyous corduroy and the golden age of game shows. 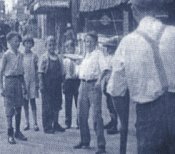 In those days the USA faced serious economic recession because of oil embargoes. That could never happen again, right? 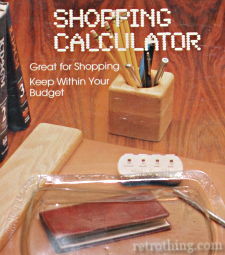 Thankfully someone was able to send the “Shopping Calculator Pocket Adder” through time to the present day to help us avoid a similar fate. 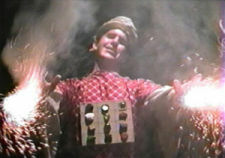 The Pocket Adder is a handheld plastic gimmick with plungers that fall under your four fingers. Each click advances the numbered wheels to keep track of cents, dimes, dollars, and tens of dollars (the nickel gets short shrift, so I guess you just click “cents” five times). 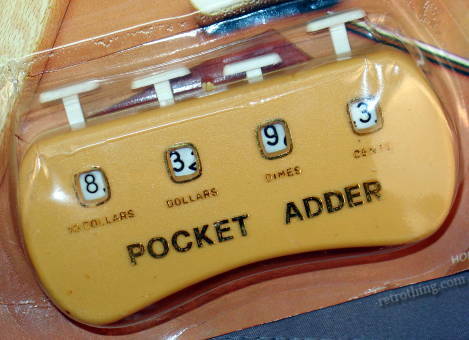 As you shop for your Kal-Kan and King Vitamin, just click off the prices on the Pocket Adder. It's mechanical innards will keep a running tab of what your shopping trip is going to cost when you hit the checkout. The packaging is a reminder of something else. The 70's weren't all blacklight fuzzy posters and mod prints as the decade is often depicted on TV. For a lot of people, the 70's were aggressively earth toned. Remember when M&M's became cheerless and autumnal colored? 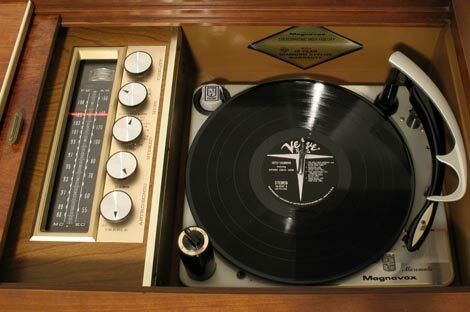 That's the 70's this device hails from. A somber, penny-pinching 70's. Sadly, time travel has been rough on the Pocket Adder - mine barely works. I remember seeing these in the hands of shoppers back then, so I know that some of them did function. I guess that makes sense... we eventually did get out of that recession, right? I don't know if this device could help us with our current national financial woes, but it does remind us how important it is to watch every single nickel. Click, click, click, click, click. I have a confession to make…I’m a geek. 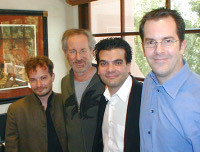 I have always been a geek. I got my first computer, a Timex Sinclair 1000, at the age of six. I used to play chess on that thing, although the whopping 2K memory meant that I could make my move in the morning, go to school all day, and then come home in time for the computer to make its move. 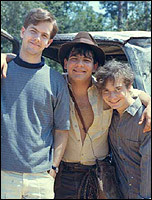 Ah, the memories! However, I have never been a math geek. Sure, I learned algebra when I was eight thanks to the Commodore 64’s Dungeons of the Algebra Dragons. But that just made me a gamer geek. I quickly learned that I didn’t really have to solve all the problems in order to beat the game. A year ago, however, something happened that made me change my mind about math. My dad is an industrial engineer and a math and science genius. He went to college in the days when the calculator was just starting to take the place of the slide rule. Anyway, he and I went to the U.S. Space and Rocket Center in Huntsville. I love space and rocketry, and the museum had a large exhibit dedicated to Werner von Braun, one of the preeminent rocket scientists of the 20th century. 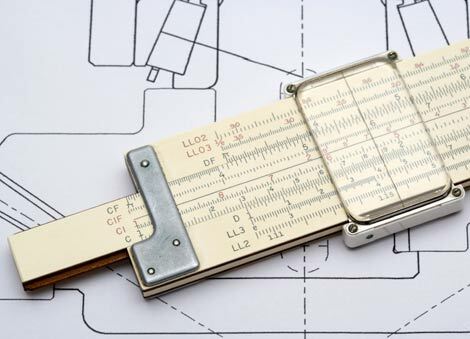 The exhibit included von Braun’s slide rule. 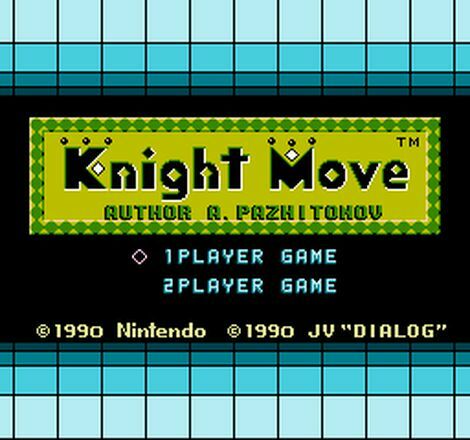 Just as Tetris is actually based on a plastic tetromino puzzle, Knight Move is an action/puzzle game based around the relatively peculiar movement of a knight chess piece. It could have been a big hit if Nintendo had placed it in arcades and on the NES, though probably not nearly as big a hit as the beautifully simplistic Tetris. Sadly, Knight Move did not fair so well. 80's Car Alarm Fakeout: Could It Still Work Today? There are two kinds of security; the physical and the psychological. Physical are devices like locks and bolts. Psychological is posting a “Beware of Leopard” sign when there is, in fact, no leopard handy. I probably shouldn't be telling you this, but the Studio Spec 'Disguise' Car Alarm model # ARM123 is pure psych out. The box mounts on your car (where?) with the totally inadequate included double sided tape. Press three of the keys at the same time to start a little red LED flashing. Press them again to turn it off. Not very much to it at all, really. 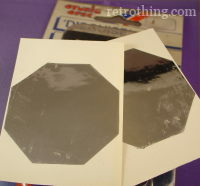 To finish off the illusion, the package also includes a pair of hexagonal octagonal silver stickers. They don't say “alarm” or “stop” or anything; they're just silver. The manufacturer bears the impressive name Alliance Research Corporation, so I guess at AR labs determined that some silver stickers and a flashing red LED are enough to - according to the package - “scare off potential burglars”. While this product has the complexity of a Radio Shack children's kit, it might actually work as a deterrent. 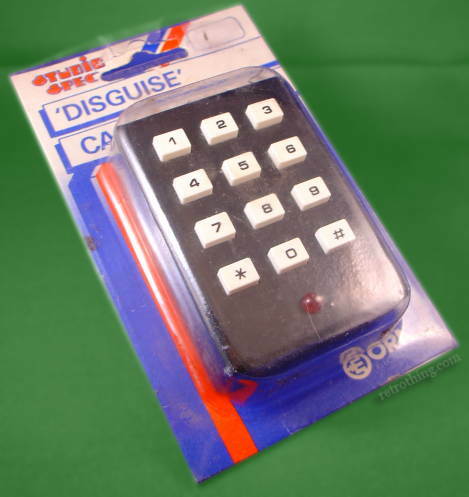 Perhaps a car thief upon seeing the blinking light might skip over your car instead of taking a chance that you have an actual alarm that's less cheesy than the toy keypad? Hopefully no thieves that read Retro Thing know where I live and know that I drive a blue '91 Corolla now equipped with a blinking red light & a keypad. Whoops. ...the more they stay the same. 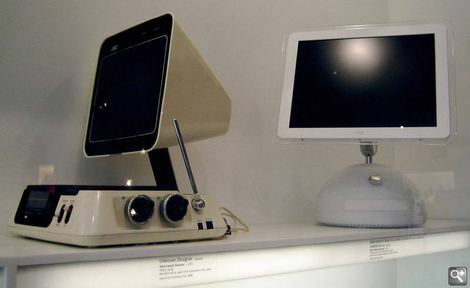 JVC's pyramidal Video Capsule TV (1974) displayed alongside Jonathan Ive's iconic iMac G4 (2002). I'm not going to say much here, the commercial above says more than enough. Was 1975 really that long ago that anyone could have watched this commercial with a straight face? After signing a two-year lease I can fulfill my man cave dream: to have a place where style and taste are dictated solely by me. I am a pack rat by nature, and my treasure pile is not inconsiderable. Every treasure repository needs a stereo, right? My bookshelf unit from college had died before the latest move, and after ten years of storage dad evicted my hi-fi gear, records, cassettes and spools of magnetic tape reels. Time to put together a classic stereo system, one that can play all those forms of audio media I painstakingly collected/saved from the landfill. Unfortunately, I lacked a few key components. 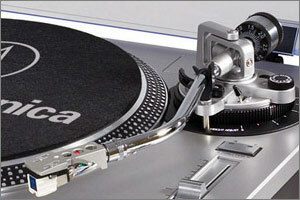 My ELAC Miracord 50H turntable needs a new cartridge and stylus (anyone know what to replace it with and where to get it? ), the Sony solid-state amplifier I have is nice but lacks a radio receiver, and the crappy mid-80s Realistic speakers I originally used had turned to dust in the intervening decade. So, I needed a working turntable, some speakers and a receiver. After shopping around for the various components, a Craigslist ad caught my eye. Why is it that Japanese entertainment can be so incredibly wacky? I highly doubt it's all just a case of "lost in translation." I'm of the belief that the strong emphasis placed on restrictive uniformity and honor in Japanese society causes some people to feel the need to completely cut loose when it comes to their entertainment. Sometimes the best humor comes out of hardship and I think that says something very positive about the human race in general. 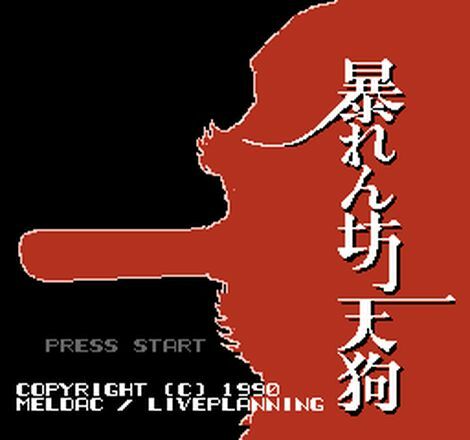 After all, without humor we wouldn't have games like Abarenbou Tengu (Zombie Nation) for the Famicom/NES! Abarenbou Tengu is a Famicom (Japanese NES) shmup game that was released in the US as Zombie Nation, a game which many people fondly remember. I, on the otherhand, recall as a kid seeing the B movie-inspired boxart for Zombie Nation many times and basically thinking "Well that looks disgusting." It wasn't until several years later that I'd learn about the original Japanese version and finally get it. Zombie Nation is a great game. It was just tampered with! Kodak has unveiled Ektar 100, the world's finest grain color negative film. It's a 100 ASA daylight-balanced emulsion that offers excellent enlargement possibilities, although it requires tons of light. 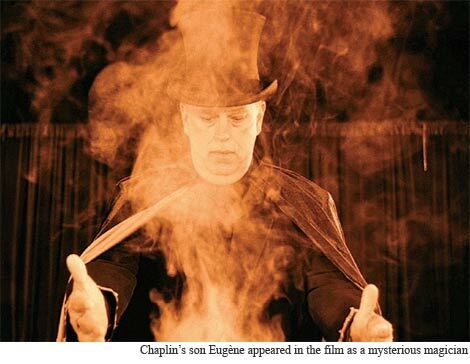 The film is rated at a mere 25 ASA under tungsten lighting, so photographers using it for indoor fashion and product photography will feel like they're back in the days of Kodachrome, slaving under banks of hot bulbs. The new stock is available only in 35mm format. 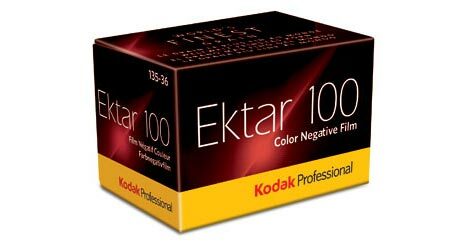 A decade ago Kodak would have been eager to release Ektar 100 for medium format and sub miniature cameras as well. 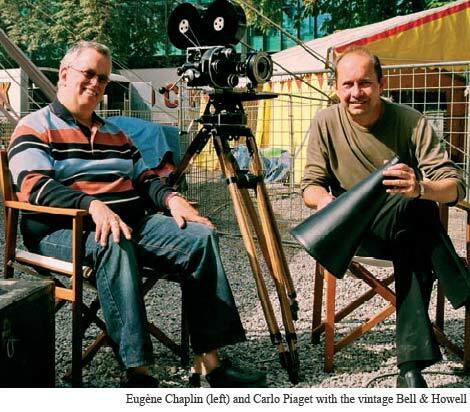 These days, most professionals are more interested in the immediacy of digital equipment. 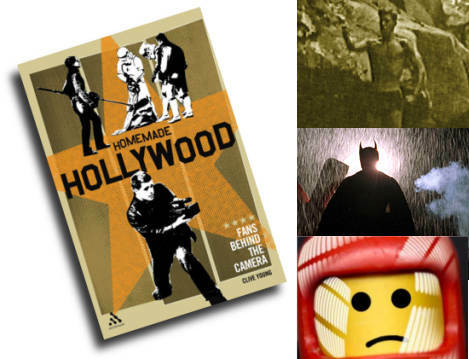 A technically brilliant new film stock really doesn't change much. It's a pity, because Ektar 100 is pushing the limits of chemical image technology - truly a child out of time. Keith Chapman writes, "Electric cars are a subject of increasing interest lately. But, of course, they aren't all that new - work was going on long ago to try to get a modern electric car into consumers' hands. 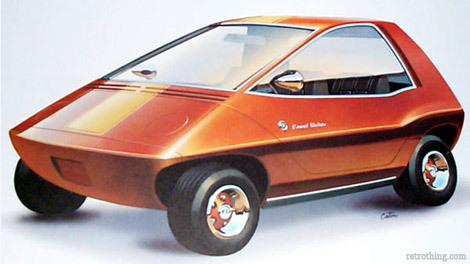 Way back in 1968, the long-defunct American Motors company showed an interesting prototype called the Amitron. Besides being, in my ever-humble opinion, one of the cooler-looking electric prototypes I have seen, it also had some interesting claims and features. A dual-battery arrangement, with nickel-cadmium and lithium-nickel-fluoride batteries, made possible a claimed range of 150 miles (241 km) per charge, with a top speed of 50 mph (80 kph). This with a total battery weight of only 200 pounds (91 kg) which is pretty light for an electric car. Regenerative braking was also part of the deal. 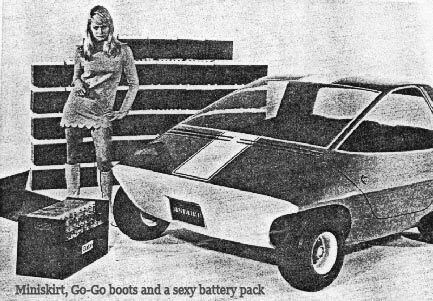 The small battery pack just in front of the car in the second picture is the whole thing, and was claimed to have the capacity of the entire wall of lead-acid batteries visible in back (behind the 60's chick in miniskirt and go-go boots). The car, small as it was, could seat three across - and if you didn't need all three seats, you could deflate 'em to provide some luggage space! The car was apparently well-received when shown to the public, but nothing further ever resulted; the price of the rather exotic batteries probably being one of the major reasons. Still - sorta makes you wonder what this thing called 'progress' is, doesn't it?"